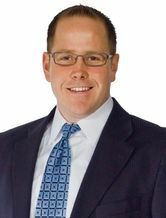 Over the last 14 years in real estate, he’s worked his way up to the top 1 percent of real estate agents in Michigan. We’re joined today by Brent Flewelling from Charles Reinhart Realtors, serving the Ann Arbor, Michigan area. Flewelling started his real estate career while he was still in college as an intern for the top real estate agent in the state. After graduating from business school, he became a full-time agent, and over the last 14 years in real estate, he’s worked his way up to the top 1 percent of real estate agents in Michigan. Flewelling’s focus is on customer service and results-based real estate, and he’s just passed 100 closings this year, with many more in his sales pipeline due before the end of the year. In addition to achieving this sales milestone, he’s also become involved with buying investment properties and building his wealth portfolio — and he does it all with a focus on work-life balance and quality time with his family. Brent’s focus is on customer service and results-based real estate. Today, Brent’s going to walk us through what it takes to build a successful real estate business from the ground up, and explains some of the key strategies that real estate agents can put in place in their own business to effectively manage and grow their own businesses.